Chefs die all the time, and no one talks about it. There are a million reasons for this, but the thing is that it happens constantly and it's only spoken of in hushed tones so no one gets upset. Other people's feelings are awkward, and we as a culture are exceptionally crappy at talking about them. We're all afraid of making things worse, or seeing someone in a different way, or having them see us in a vulnerable state. But as I see it, you either have to deal with the slightly uncomfortable situation of having your line cook cry in front of you, or you cry at their funeral. I'm sorry to make it sound that dire, but it is. Especially today. Anthony Bourdain killed himself. I don't know why. Even if I did, it wouldn't matter, because it cannot be undone or make anyone feel any better. There was absolutely no one else in the world like him, and the constant refrain I heard from chefs, writers, and food lovers I met through my work as a journalist was, "I want to be Anthony Bourdain." That stings especially today. We can only assume that even he didn't want to be Anthony Bourdain anymore, and it is painful and shocking and somehow still unreal that someone could have the fame, wealth, respect, admiration, and opportunity that he did, and still not wish to live. We are all in some way unknowable, and maybe him more than most. I knew him well enough to chat about some pretty deep things from time to time, and to tell him the last time I saw him in person that being in love looked really good on him. He heartily agreed. The world saw what he ate and how he traveled. Heard him opine often and loudly about things of which he did not approve, and maybe even louder about the things he did. He took great pains to champion the things and people he cared about deeply. For a while, he cared about heroin and other excesses, but then he didn't seem to anymore in recent years. Still, that fixed him in the heads of many people—especially those drawn to kitchens—as a nihilistic, rock star, bad boy, hard-driving, pirate captain who saw self-abuse and workaholism as a badge of honor, and they did their damndest to emulate him. 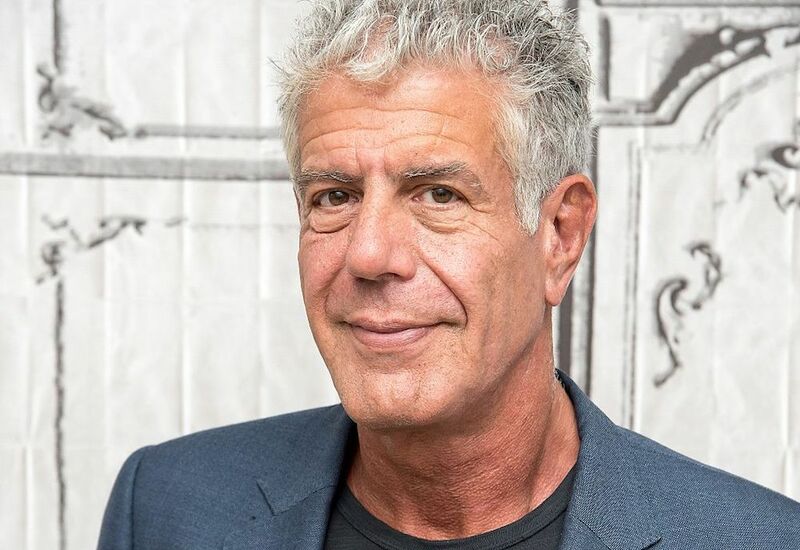 But even Bourdain was past that these days and expressed tremendous regret at the "meathead" culture that had metastasized out of his chronicle of kitchen life, Kitchen Confidential. He spoke precisely and passionately about the failings of the industry—his own included—and the culture at large. He named names, he poked hives, he charged at mountains. The first time we ever met, it was because he wrote something I didn't like, then I wrote something he didn't like, and then he rained holy hellfire down on me on Twitter and I was terrified. But I didn't back down and he seemed to like that. Mutual friends told us both that we were on the same side, even if we didn't know it, and when I finally met him in person, he leaned down—God, he was a tall man—and said, "We're going to be friends." And then suddenly we really were on the same side. His side was on that of people who work in restaurants. He loved dishwashers, porters, barbacks, bartenders, line cooks, prep cooks, sous chefs, and the fancy ones with their name over the door. And I stand there proudly with him. I run a website called Chefs With Issues, and it's a platform to talk about the painfully taboo topic of mental health and the restaurant industry. That's how I know that chefs die all the time, in sudden ways, and in long, slow slides. Sometimes it's an accident, but far too often, it's by their own hand, and I cannot stand that happening one more time. I don't work in restaurants, but I have been on the edge of that precipice a time or two, and the single scariest act of self-preservation that I have ever committed was being public about that fact. It's utterly terrifying, ripping open your chest to show the ugliest, darkest parts of yourself to someone who may not understand. But that is how the light gets in. In the Chefs With Issues community, it's restaurant workers around the world sharing hundreds of rays of light, and I'm just praying that we can guide more people to safety. I wish with all my heart that Tony had made it all the way over to our side. A chef died today. Let's talk about it.